We have an entire process built on readjusting the foundation on how your dealership works by establishing a baseline through statistics and automotive dealership processes. Our team will analyze your current results and forecast the difference we can make by pollinating our strategy with yours. 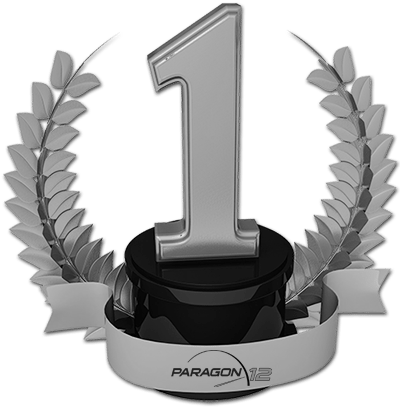 Paragon 12 will keep the baseline trending up until you are excelling in every category. Excuses don’t pay the bills. One small mistake can domino effect the entire dollar amount of your sale. Some people will make this same mistake their entire tenure. There’s a reason why if we compare all of the sales person’s gross between front and back end, or your manager’s front and back end, that they are always different. We want to max out all profit potential in every aspect of the deal. In the automotive business, we were taught that in order to hit our sales goal, we need to shake more hands and talk to more people. The problem with this is that this method is that you will spend a lot more on advertising, put in a lot more work, and keep making the same mistakes over and over again. The Paragon 12 way is to turn more prospects into buyers while talking to less people, making more profit per deal with a lower advertising cost. We are going to achieve this with our baseline process. Paragon 12 has a specific process for targeting your area’s demographics to yield the best possible marketing outcome for the community. We research the average credit score, average income, and current average automotive payment so that we can ready your inventory to reflect what best sells, and what your surrounding area will purchase. We want to synchronize your preowned /new vehicles with your bank’s automotive programs with the average credit score and average income.